Liver detoxification has become a determining factor for anyone who struggles with their weight or obesity. This organ is responsible for carrying out nearly 500 bodily functions, including the ability to cleanse the blood, aiding digestion of fats, and increasing metabolic activity. However, because of poor dietary choices and constant exposure to environmental toxins, the health of this organ can become compromised and it can become less capable of performing each of its jobs. That’s why it’s becoming more and more important to take up a cleansing plan to eliminate any waste that could alter the liver’s primary functions. Right now we would like to propose 5 healthy nighttime drinks that have detoxifying and medicinal qualities, while also assisting in weight loss. Why should I drink beverages at night to cleanse the liver? A large majority of detox plans are done first thing in the day, just before breakfast. 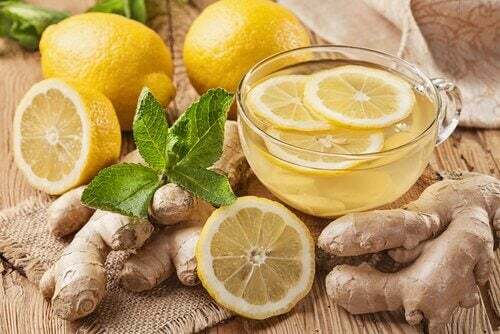 The following beverages, however, are consumed during the evening and according to Traditional Chinese Medicine, the liver functions best between 1 and 3 in the morning. By providing the liver with nutrients from infusions just before going to bed, you will promote the conditions necessary for complete and proper cleansing. This will also promote a healthier metabolism which reduces the amount of toxins in the body and increases fat burning. Chamomile tea is one of the best beverages for nighttime. It is gentle to digest and supports liver cleansing due to its antioxidants. It also has sedative properties to control the nervous system while also alleviating stress and improving sleep quality. 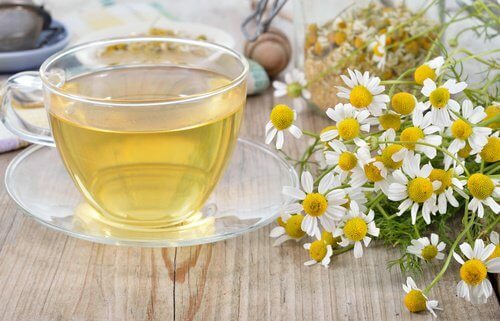 And lastly, we need to point out that chamomile tea also has anti-inflammatory properties, which are perfect for alleviating inflamed muscles and tissues. Boil the cup of water. Once boiling, remove from heat and add the chamomile flowers. Allow to cool for 10 minutes, then drink. Repeat every night for at least two weeks. Warm lemon water is a popular drink for the beginning of the day, but it’s also incredibly beneficial to drink it at night. Lemon has diuretic and cleansing properties, which support liver function for better health. Heat the water and add the juice from the lemon. Drink half an hour before going to bed for at least three consecutive weeks. Ginger and lemon make the perfect weight-loss combination, while also improving health. Both ingredients contain significant amounts of vitamin C and other antioxidants which ward off disease and improve metabolism. Ginger is an anti-inflammatory and it also helps treat common conditions, like cellulitis. It also has a thermogenic effect which increases calorie consumption and the elimination of waste substances. Lemon, on the other hand, strengthens the immune system and acts as a powerful cleanser which helps reduce abdominal swelling. Boil the cup of water and add the ginger slice and juice from half the lemon. Allow to steep for 10 to 15 minutes, then sip. Drink at least three times a week. Mint tea is a healthy drink with properties that improve digestion, especially after hearty meals. Menthol and menthone essential oils increase the body’s ability to eliminate waste products that would otherwise remain in the liver and colon. Add the mint leaves to a pot of water and boil for two minutes. Strain, then serve and drink half an hour before going to sleep. Drink every night for at least three weeks. 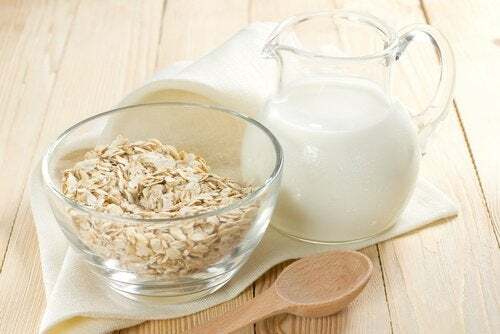 Oat beverages contain significant amounts of fiber, vitamins and minerals,which improve digestion while cleansing the liver and intestines. They also have a relaxing effect which increases a sense of well-being for a restful night of sleep. Soak the oats for 7 hours. Then strain and blend with one cup of water. Add honey if you would like the drink to be sweet, and serve with a few ice cubes. Liquids form a determining role in detoxifying the body. That’s why any of the aforementioned evening drinks to detox the liver and lose weight could help you. Enjoy!